The death of a four-year-old boy from Harris County, Texas is raising awareness about the dangers of “dry” or “delayed” drowning. According to a CNN report, Frankie Delgado passed away several days after being knocked over by a wave and going under the water on Memorial Day weekend. 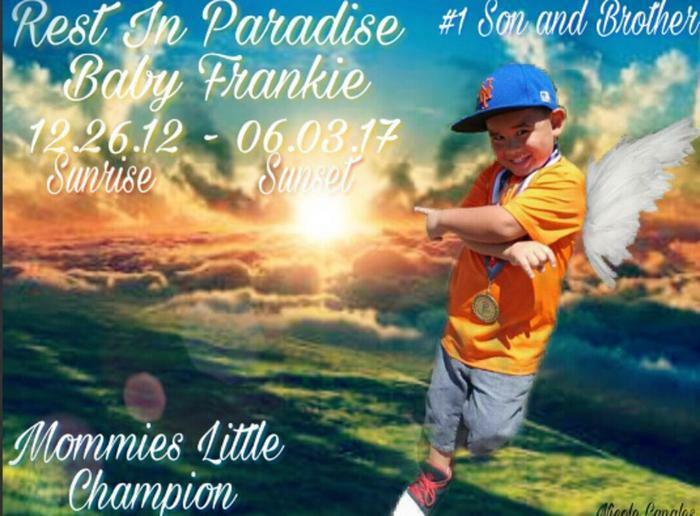 The boy’s father, Francisco Delgado Jr., said that a friend picked up Frankie and he seemed fine for the rest of the day, but warning signs began to surface the next night. Frankie reportedly began vomiting and having diarrhea, symptoms that his parents had seen before and chalked up to a stomach bug. The Delgados continued to treat their son at home, but later in the week Frankie began complaining of shoulder pain, which prompted a trip to the doctor. Unfortunately, tragedy struck later in the week. Frankie was rushed to the hospital, but he was pronounced dead after failed attempts to resuscitate him. Medical staff said that they found water in his lungs and around his heart. While the official cause of death has not yet been released by the county coroner, it seems likely that Frankie Delgado passed away due to dry drowning or secondary drowning. Dry drowning occurs when a person is submerged in water and their vocal cords spasm and close. The body’s response to this is to send fluid to the lungs to try to reopen the vocal cords, but in some cases it can lead to an excess of fluid in the lungs that causes a pulmonary edema. Secondary drowning, though similar to dry drowning, occurs when water enters the lungs and dilutes the surfactant – a slippery substance that prevents the lung sacs from sticking together and collapsing. When the surfactant is compromised, the lungs can no longer properly exchange carbon dioxide for oxygen. Eventually, much like dry drowning, the body sends fluid to the lungs which can result in a pulmonary edema. Experts point out that both dry drowning and secondary drowning are rare, but parents should be especially mindful of the conditions if their child is submerged in water. Symptoms of dry drowning and secondary drowning usually occur between one and 24 hours after any such incident. If your child shows any respiratory symptoms -- such as difficulty breathing, coughing, wheezing, or chest tightness or discomfort – seek medical attention right away. Other symptoms can include fatigue, fever, and an unusual change in mood. In Frankie’s case, experts say that the vomiting and diarrhea may have been caused by irritation from the water or a bacterial infection.